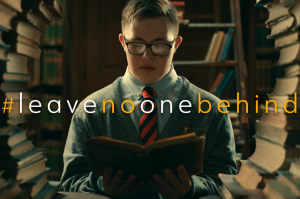 All people with Down syndrome must have opportunities to live fulfilling lives, included on a full and equal basis with others, in all aspects of society. The 2030 UN Agenda for Sustainable Development, a global plan of action for people, planet and prosperity, pledges that “no one will be left behind”. For World Down Syndrome Day 2019, CoorDown presents REASONS TO CELEBRATE, the international communication campaign developed in partnership with FCB México and SMALL. The reality today is that prevailing negative attitudes, low expectations, discrimination and exclusion, ensure that people with Down syndrome are left behind. This occurs in society, but also within the disability community and the Down syndrome community. There is a lack of understanding of the challenges individuals face across their lifetimes and a failure to support them with the opportunities and tools needed to live fulfilling lives. People with Down syndrome and those who support and work with them must be empowered to advocate for these opportunities. They can then reach out to other key stakeholders including education, health and social care professionals, employers, community and public bodies, media and the wider community to ensure they understand how to provide these opportunities and encourage these stakeholders to disseminate this message to bring about change. On World Down Syndrome Day, Thursday 21 March 2019, we call upon every person with Down syndrome to tell the world to “leave no one behind”. This campaign will be integrated into all of DSi’s WDSD activities and we encourage everyone around the world to do the same. Please contact our International Office if you have any queries. What is World Down Syndrome Day? Copyright © 2019 Down Syndrome International.